To my twelve loyal readers (including you seven from India), may I explain the blogging hiatus. The last eight weeks have been fraught with that most dreaded sucker of energy, appetite, and the will to do anything but moan on my floor whilst wearing only my unmentionables and a pilling bathrobe: morning sickness. And by morning I mean all freaking night and day. Yes, we are adding a third cherub to our collection. The bebe is due to arrive sometime around Christmas (surprise! No really, SURPRISE!). We are excited (except for the part where I get out of the habit of grooming). Especially Graham, who has declared that there are five babies in his tummy, and that the one in mine is named "Michael" or "Uncle," depending on the day. Hurrah for babies! Hurrah for microwaveable taquitos! Hurrah for generic Zofran covered by insurance! Meanwhile, I've been anxious to review a library book that has been plaguing my book bin for a few weeks now. 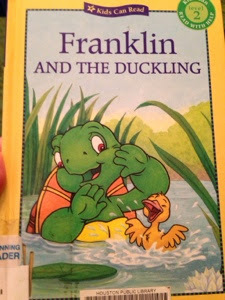 I give you an abomination of children's literature: Franklin and the Duckling. It's all fun and games until someone fracks up your pond. Graham picked it randomly from a shelf, was seduced by the playful cover, and in my pregnant daze, I checked it out for him without vetting it for inane content. There is no author named on the cover, which should have told me something, but I found the names of the guilty parties buried on the page with all the Library of Congress boring stuff. I also discovered this book is based on a television episode from a series inspired by the canonical Franklin and Friends book series written by Paulette Bourgeois and illustrated by Brenda Clark. So this book is like a chocolate croissant that you reheated in the microwave because you were too lazy to wait for the toaster oven, and then when it came out all gross and chewy you wish you could unmicrowave it back to it's original baked glory, but you can't unmicrowave something, you just can't (true story). Such are the perils of book to television to book adaptations. I hope this metaphor makes sense. Basic plot: Franklin goes for a swim at the pond and a duckling follows him home. Franklin decides to keep him as a "secret pet," despite his mother's earlier mandate of "no more pets," and a swirling tale of chaos and deception ensues. 1. Inconsistent worldbuilding. Because this story takes place in a universe where animals are anthropomorphic (Canada), I would classify it as fantasy. I believe that fantasy should still follow logical rules, however. Franklin lacks any decipherable set of rules governing the universe. 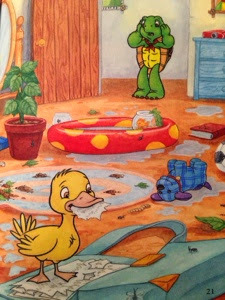 Franklin, a turtle, speaks, wears clothing, lives in a house with electricity ... and yet sleeps on a rug in the middle of his room, which is otherwise full of modern furnishings and toys (a full bookshelf, a toy chest, and a hockey stick?!). So Franklin's society has mastered mass printing, carpentry, textile production, electricity, and more ... but he still sleeps on the floor. Franklin's dishonesty has no impact on his appetite. So apparently humanized turtles prefer to eat their meals on something that looks like a pagan altar. Happy summer solstice. 2. Inconsistencies in the application of anthropomorphism. Ok, so the turtles are basically humans. I'm fine with that. But the anthropomorphism is grossly inconsistent from species to species, with no indication that there is any method to the system. Franklin's best friend is a bear named ... wait for it ... "Bear." So the turtle gets a lovely, Anglo-Franco name, but his best friend (who is higher on the food chain and of a more intelligent species) is called "Bear." Find me a kid with sober parents named, "Human," and then I'll roll with "Bear." This next concern is not confined to Franklin's universe. It is common in children's media featuring anthropomorphic characters (Arthur comes to mind): animals owning other animals. Again with no explanation for how the authors decided to stratify the species, we see Franklin perusing a pet store with a cat and dog in the window (again, how is a reptile more advanced than mammals??). He already owns a fish, and the entire plot revolves around his failed attempt to adopt a "wild" duckling. The whole system reeks with the subtle stench of ethnocentricism, racism, and slavery. Did you know that "Franklin" is an anagram for "Canadian Supremacy League"? Look for my upcoming Change.org campaign to get this book banned from our schools. "So I can't have another pet, not because of their inherent right to freedom as fellow animals, but because I can barely keep the fish I do have alive? Makes sense, Mom." 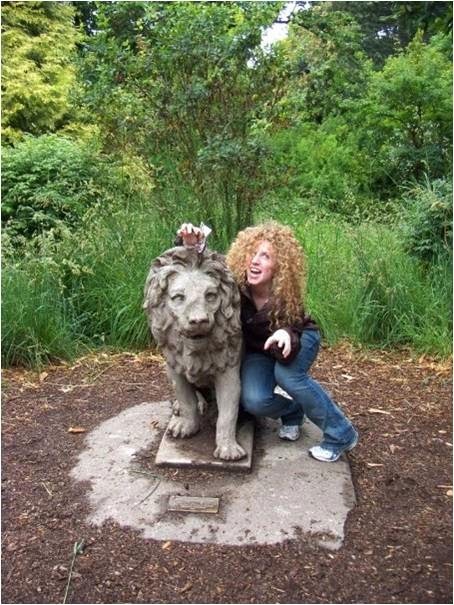 I don't like when a character's animal-ness is meaningless and unacknowledged. 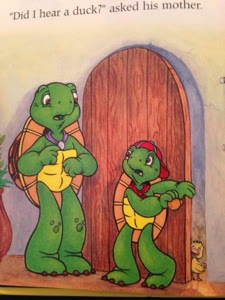 Franklin's turtle-ness has no impact on the story at all ... so why is he a turtle? 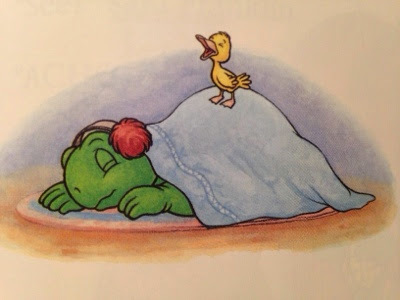 The first Franklin book of the original series was about a turtle afraid of the dark inside his shell--that's good animal literature. In this story, however, every depiction of Franklin could be seamlessly replaced with a picture of a little boy (hopefully wearing more than a neckerchief). 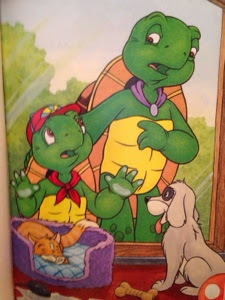 Franklin's identity as a turtle is ignored, and the story is worse for it. 3. Weak grasp of animal biology. 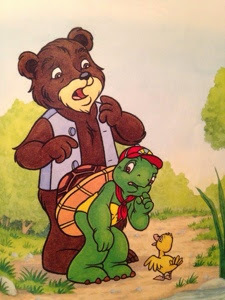 First, why is Franklin just a bit smaller than a bear cub? That's one creepy-big turtle. I predict a pregnancy-augmented nightmare in my future. It looks like the duckling just told Bear that his mom got shot and made into a rug that now graces the living room floor of a lifestyle blogger. Also, why does a turtle own earmuffs and a hockey stick, when a quick google search reveals that turtles in cold climates (Canada) spend the winter in hibernation (the term is actually "brumation" when referencing reptiles)? Franklin shouldn't be able to play hockey because he should be spending all winter burrowed under a foot of mud. Finally, Franklin isn't even a turtle. He's a tortoise. 4. Stupid plot with a horrible message. Franklin's mother declares "no more pets" on the first page. Franklin ignores this and tries to domesticate a duckling, in secret, in his room. The duckling destroys his room, twice. He lies to his mother's face about the quacking she hears, twice. After Franklin's little sister exposes him for the deceptive little reptile he is and the duckling's family collects their prodigal, how does Franklin's mother respond? She praises him for "taking such good care of the duckling" and offers him another pet. In what universe does lying to your mother and letting a wild animal rip apart your room merit greater privileges and responsibility?! Not even Canada, people. We can blame Franklin's mom for the entitlement generation. The story ends differently in my house. In my version, Franklin's mother expresses disappointment that her son acted in a way so contrary to what he had been taught about honesty. She tells him that trust takes much longer to gain than to lose. Then she flushes Franklin's goldfish down the toilet. 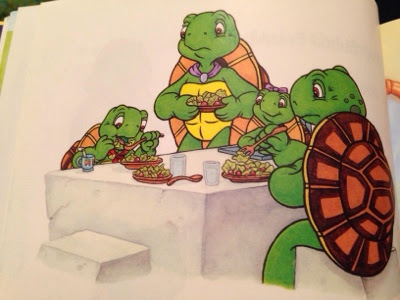 Just kidding: these anthropomorphic turtles don't have indoor plumbing, so she feeds it to the duckling. Franklin's face when he finds out what happens to "Goldie." Throw this reheated croissant in the garbage, parents. It's not worth the calories. What's the deal with Canada? Dan says he liked the old Franklin books. I hope the moths aren't bad in Houston. I forgot to emphasize that this franchise is from Canada ... hence all the Canada references. And the moths aren't bad except at night when they tap on my window and creep me out. 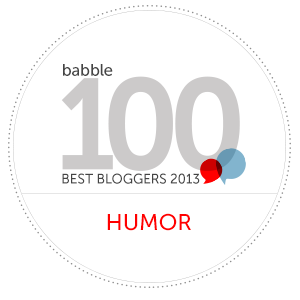 You're hilarious. I laughed out loud twice. I seriously love the way you write. Can't wait to read more! Totally hilarious. The original Franklins are pretty good, but you are exactly right, any book based off of a tv series is doomed. I am especially annoyed by things like your fourth point. I hate books where the "moral" at the end is so twisted that you can't find anything redeeming about it. I have found this a couple of times with kids shows Calvin has watched. I HATE Chuck and Friends.